"The only negative for Finau is that he is yet to win during the campaign and could actually become the Tour’s No 1 golfer with a runner-up finish this Sunday." For the 18th time, East Lake brings the curtain down on the PGA Tour season, by hosting the fourth and final event of the FedEx Cup Play-Offs. The traditional end-of-season Tour Championship is now in its 32nd year and, since the start of the Play-Offs in 2007, have been staged towards the end of September. In its early days, however, the tournament was played either late-October or early-November but, from 2019, will be moved to August. To accommodate the significant increase in temperatures following the change of dates just over a decade ago, East Lake's original Bentgrass greens were re-seeded with Bermuda. And when next year's event tees-off on August 22nd, the summer heat in Atlanta will - in all probability - be even hotter, possibly scorching. East Lake Golf Club was formed almost 120 years ago, although the original layout was completely re-routed by Donald Ross, who was one of the most famous golf course architects of his day. And during the decades that followed, the course experienced an interesting, often turbulent, history. It was here the great Bobby Jones learned to play golf and, in 1963, East Lake hosted the Ryder Cup. However the site, which is situated around five miles east of Downtown Atlanta, fell into disrepair following urban decay that gripped the city during the late 1960s. But after more than 20 years in the wilderness, Atlanta's oldest course enjoyed a face-lift when a local charitable foundation purchased East Lake with the purpose of restoring it to its former glories. In 1994, architect Rees Jones renovated Ross's original layout and four years later the course hosted the Tour Championship for the first time. Generally flat, East Lake is a traditional parkland course where tight tree-lined fairways demand accuracy from the tee. Water comes into play on six holes, most of these towards the end of the round, and on Thursday the leading 30 pros in this year's FedEx Cup standings will do battle in the season's grand finale. England's Justin Rose, the current world No 1, could celebrate his new, deserved status by finishing top of the FedEx Cup standings. The 38-year-old has finished second in his last two starts, and occupies the same position in the FedEx Cup table - behind leader Bryson DeChambeau. A win for Rose would guarantee him the FedEx Cup trophy, as well as the title of the PGA Tour's No 1 golfer for 2018. In eight previous starts at East Lake, Rose has twice finished runner-up - in 2012 and 2015. Another Brit, Rory McIlroy, was fifth on his last outing in Pennsylvania two weeks ago and is back in Atlanta where he triumphed on his most recent visit in 2016. 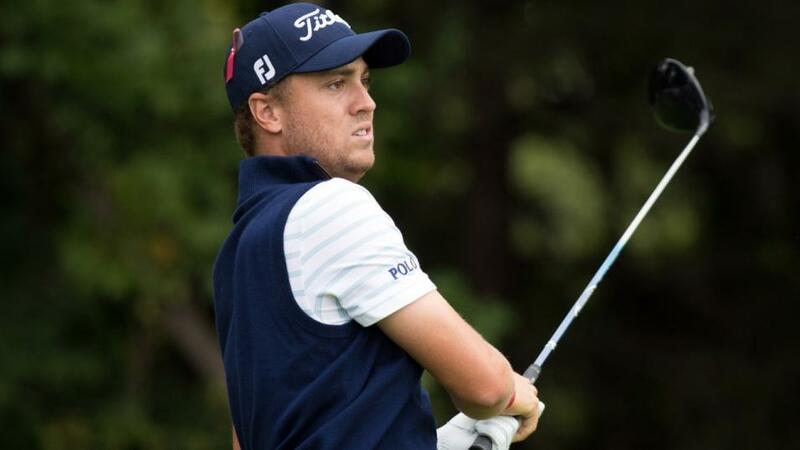 American Justin Thomas looks in great shape to retain his FedEx Cup title, which he clinched 12 months ago by finishing second in Georgia. And if he did, would become the first player to defend this trophy since the Play-Offs began 11 years ago. Few golfers have displayed the sort of consistency shown by Tony Finau this season. The 29-year-old from Salt Lake City currently stands third in the FedEx Cup rankings and is the only pro teeing-up who has finished inside the top 10 of all three play-off events contested so far. Finau also finished inside the top-10 of three of this year's four majors and, during the 2017/18 PGA Tour season, no one has posted more T-10s than him. He currently has 11 for the season, a figure matched only by Dustin Johnson. The only negative for Finau is that he is yet to win during the campaign and could actually become the Tour's No 1 golfer with a runner-up finish this Sunday. On his only previous trip to East Lake, last year, tied-for-seventh. Finau's performances this season have certainly impressed American skipper Jim Furyk, who recently named him as his fourth and final Wild Card pick for this month's Ryder Cup contest in France. This week's Tour Championship represents the last chance for Tiger Woods to claim a victory during an impressive comeback season. Woods hasn't teed-up at East Lake since 2013 and last stood on the podium here nine years ago. Four times he has finished second at the course, on top of winning in 2007 when he claimed the inaugural FedEx Cup title.